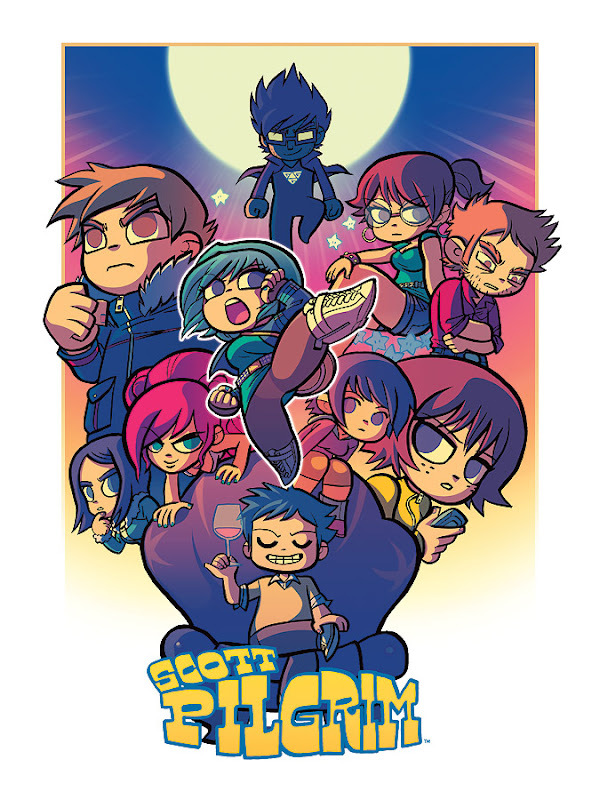 I'm not sure how many people out there loved the movie Scott Pilgrim vs the World, but I was one of them. I mean I love Michael Cera (and everything he has been in - from Arrested Development to Youth in Revolt and I can't wait for The End of the World) and I also love the director Edgar Wright (Shaun of the Dead is still one of my favourite movies ever. I also really liked Hot Fuzz). So when I was gifted the first 5 volumes of the Scott Pilgrim graphic novels I was super excited. I've just finished volume 2, and it's even better than the movie. As much as I would love to talk about how amazing Scott Pilgrim is, this post isn't about that. It's about what it got me thinking about while I was reading it - African Graphic novels. In January 2011, Geoff Ryman wrote an article on African Graphic Novels in which he looked at mainly Francophone Africa Graphic Novels and commented on the fact that "writing and illustration ... is often of the very highest quality". Interesting article to read, but if I had to choose a one stop guide to all things African graphic novels/comics, it would be bombasticelement. As a secret graphic novel/comic book lover (not-so-secret anymore), the wealth of information on African comics it provides is amazing. Here's an article on African Comics by A Bombastic Element, and this wonderful list of African comics from 1970s to 2010 - An English Reader's List of African Comics by Bombastic Element. As for African Graphic Novels, here are a few I'd like to read. 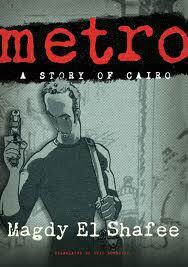 Metro is Magdy El Shafee's first graphic novel and was translated by Chip Rossetti. Set in Cairo, it tells the story of a bank robbery and two friend's in Mubarak's corrupt, oppressive Egypt. Metro was published in Egypt in 2008, but was banned on publication in Egypt in 2008 for "offending public morals". 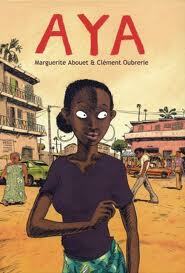 Aya de Yopougon by Ivorian author Marguerite Abouet is a graphic novel I've been wanting to read for the longest time. Set in Ivory Coast in 1978, Aya tells the story of its nineteen-year old heroin, the studious and clear sighted Aya, her easy going friends Adjoua and Bintou, and their meddling relatives and neighbours. There are 6 volume's in total, but that's in French. For English speakers there are only 3 translated volumes, but you can read excerpts here and here. I really might need to learn French. This I want to read because DRC Congo seems a country with a number of African comics/graphic novels. In fact the BBC wrote an article on comics from Kinshasha. 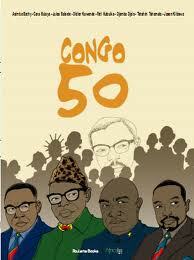 Congo 50 brings together 8 Congolese artists depicting the history of the country since gaining independence in 1960. All 8 artists were asked to draw the lives of twins, Dipenda and Lipenda, who were born on Independence Day. Through 8 stories, the book follows the twins lives on Congo's turbulent journey. June 12: The Struggle for Power in Nigeria by Abraham Oshoko is one I'm curious to read. June 12, 1993 is quite a significant date in Nigerian history. On that day, Nigerians elected a new president after a decade of military rule. The election was said to be free and fair, yet less than a week later, a powerful conspiracy to abort the transfer of power began to unfold. 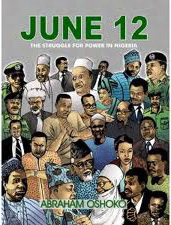 June 12 touches on much of the fact and fiction related to this turbulent period in Nigeria's history. I am curious to see how the June 12 Presidential election is translated into a graphic novel. Francophone Africa clearly dominates this genre and a few that make me go, "Why can't I speak French" include the Eva K (a political trilogy) and Mandrill series, which were both collaborations between Congolese (DRC) comic writer and artist Barly Barutti and French comic writer, Frank Giroud. 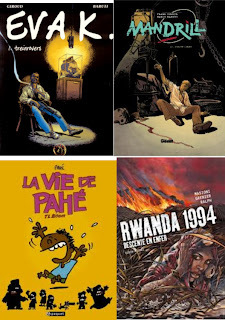 There's also the two-part graphic novel by Patrick Masioni (also Congolese) on the 1994 Rwandan genocide - Descente en enfer and Le camp de la vie. The DRC really does produce a lot of comics/graphic novels. Another one I'd really love to read is La vie de Pahe by Gabonese comic, Patrick Essono. In La vie de Pahe, Patrick shares his experiences as a boy growing up in a traditional African society. I did find a preview here in English, but if I am honest, I'm not even sure if it's available in English. Would be great if they all were. Also definitely check out Vusamazulu Comix to read excerpts of MA: An African Epic, part of the Tree of Life Trilogy. The weight on Francophone Africa reflects the respect that comics have in France. The English speaking west generally considers comics for children whereas in France it's considered an art form (9th Art).